Young comedienne Vidyullekha Raman is well-known to Telugu audiences for her hilarious comic antics and peculiar dialogue delivery. The Tamil actress’ hilarious acts in movies like Run Raja Run, Raju Gari Gadhi, Sarrainodu and Aanando Brahma tickled audiences’ funny bones. In a latest interview with a popular Telugu daily, Vidyullekha revealed that her dream is to act alongside Power Star Pawan Kalyan. However, she also feels that her dream may remain unfulfilled since Pawan has quit movies to pursue full-time politics. 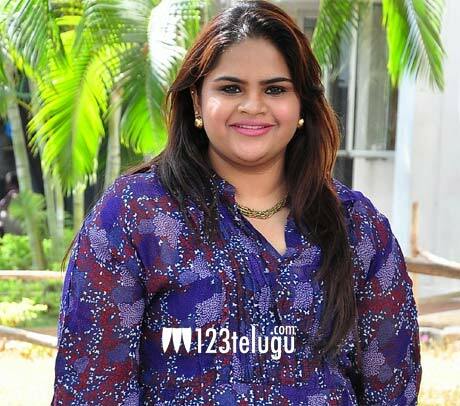 Vidyullekha also said that she is eagerly waiting for the opportunity to act with Megastar Chiranjeevi. The actress’ target is to act in 500 movies by the end of her career.